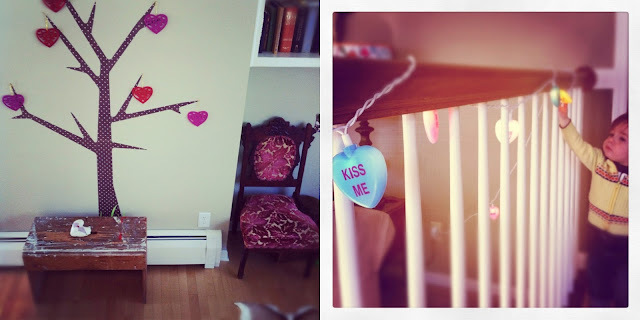 Been doing a bit of love day decorating around here. Here are a few peeks. Our sticky tree, now decorated with hearts (50% off Christmas ornaments actually!). And there's Charlie boy enjoying our string of candy inspired lights, a set I bought before the boys were born when I was still romantic enough to hang surprise lights around the 4 poster bed for when the huz woke up. Wait, what am I saying, I have a massive heart as a head board ... that's pretty romantic! A pair of his and hers crocheted undies! 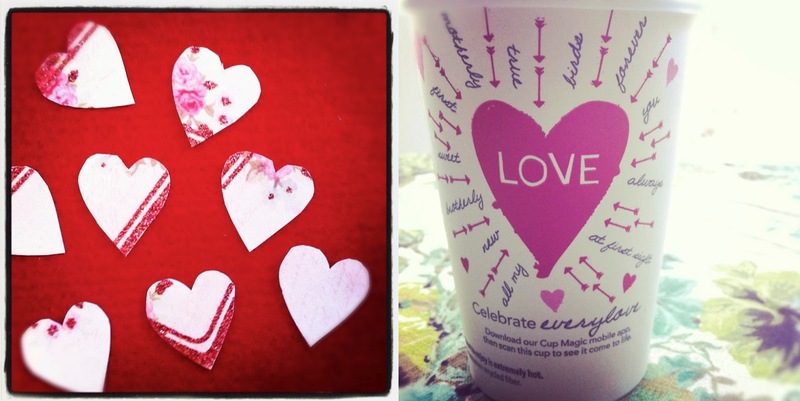 Hearts cut out for DIY arrows and a love note from Starbucks. 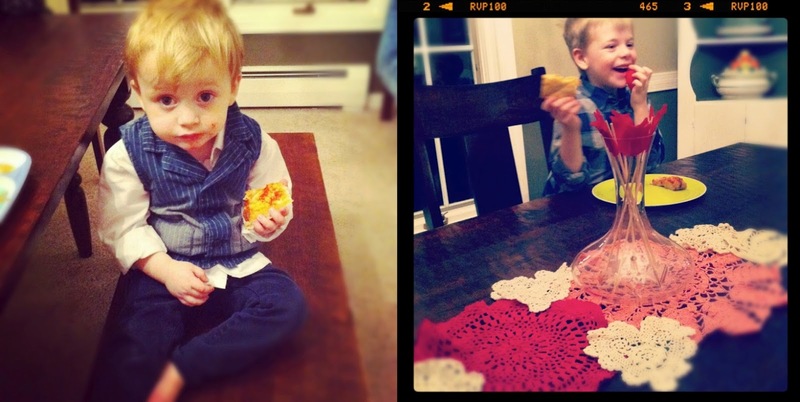 Pizza night while we watch America's Funniest Videos. Parker is desperate to submit something to the show and so he keeps a supply of silly stints on hand, with a subtle hint to get my video ready. Nothing's panned out yet, but these things can't be forced. I'm sure his shining moment is coming or likely it will be Monty's as he's the one who is prone to spectacular falls and mishaps. 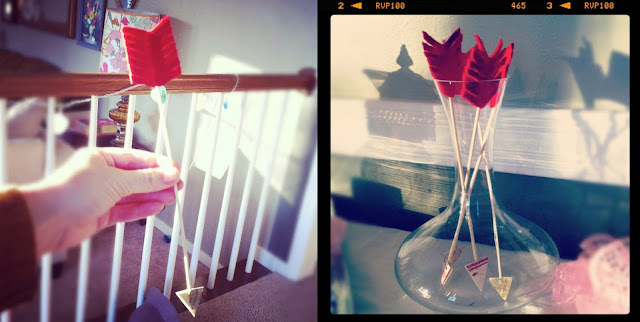 On Sunday we tried making our own arrows, a super simple version of the others I've seen and loved, with goodies we had on hand. 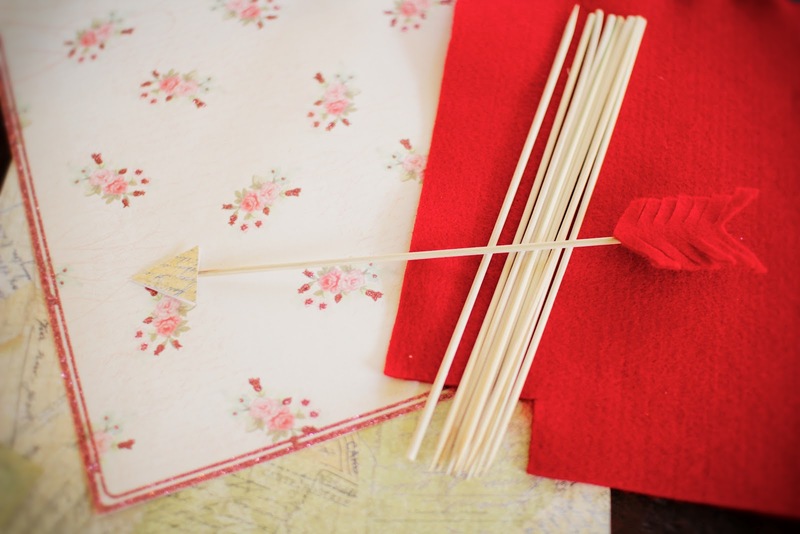 We grabbed our left over skewers from summer grilling, a sheet of red felt and a couple of sheets of scrap booking paper. 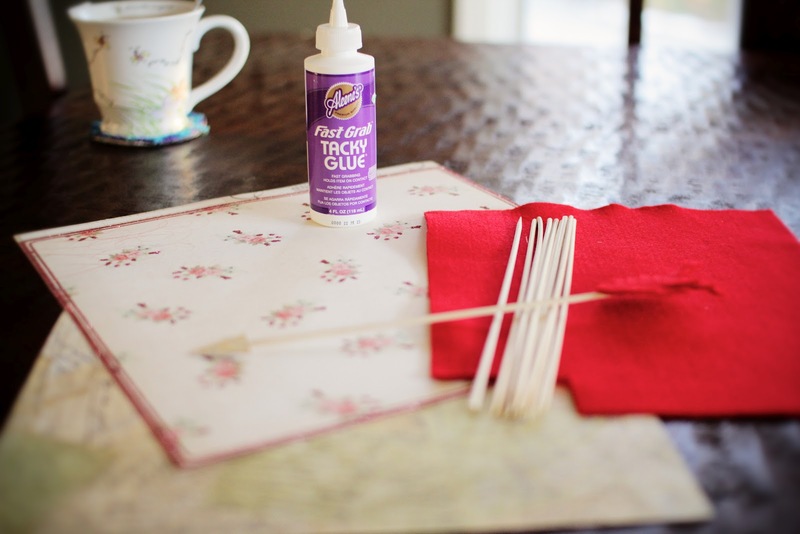 And used this fast grab tacky glue instead of a hot glue gun. Certainly a better option for the kids and it held everything together perfectly. 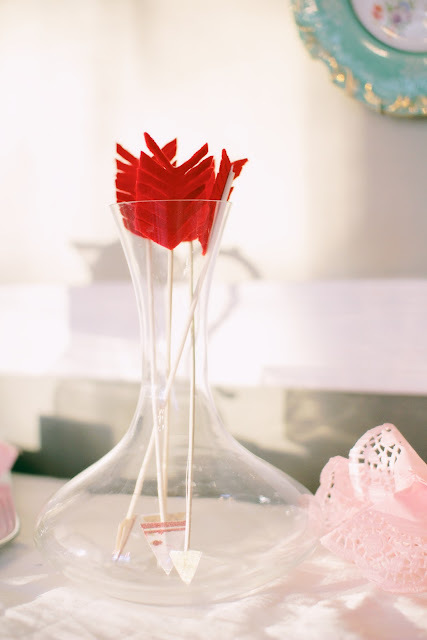 And I put them in a wine decanter for a dining table centerpiece (sitting on the doilies you see above, Could not find enough doilies to do a runner the length of the table, so worked with what I had).